The jury filed into Courtroom 16A at 12:20 p.m. The staff had ordered lunch, but none of the jurors wanted to stay. Instead, they preferred to read the verdict and get out of the courthouse as fast as possible. The jury foreman, a middle-aged male, stood and read the results of the 19-page verdict form. 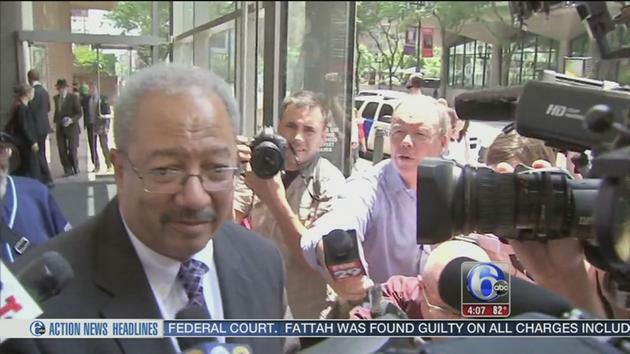 On Count 1, Congressman Chaka Fattah was unanimously found guilty of conspiracy to commit racketeering. The foreman kept reading the verdicts on six more charges under Count 1 for Fattah, including: guilty of mail fraud, guilty of wire fraud, guilty of bank fraud, guilty of bribery, guilty of obstruction of justice, and guilty of money laundering. Fattah stared straight ahead and showed no reaction. When co-defendant Herb Vederman was found guilty of conspiracy to commit racketeering, however, his sister started crying. "No outbursts," Judge Harvey Bartle 3d warned spectators. While the jury foreman continued to read five more guilty verdicts for Vederman under Count 1, his sister left the courtroom still crying. By the time the jury foreman was through reading the verdict on all 29 counts, Fattah and four co-defendants were found guilty on 57 of 74 total charges. Fattah was found guilty on all 22 counts and all 28 charges against him. Vederman was a pal of the congressman and an unpaid former Philadelphia deputy mayor under Ed Rendell. Co-defendant Robert Brand was another Fattah pal who founded a consulting firm that the feds said was used to launder money from a wealthy donor as part of a scheme to illegally pay off Fattah's campaign expenses. Besides being convicted of conspiracy to commit racketeering, Brand was found guilty on conspiracy to commit wire fraud. Karen Nicholas, another co-defendant, was convicted on four counts, including conspiracy to commit racketeering, conspiracy to commit wire fraud, and two counts of wire fraud. She was a former Fattah congressional aide who was the CEO of a Fattah nonprofit that the feds said had fraudulently obtained a $50,000 federal loan. The jury also found find Nicholas not guilty on one count of wire fraud. 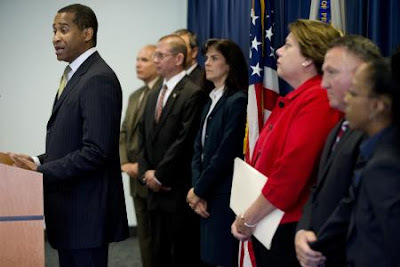 Bonnie Bowser, Fattah's former chief of staff, was the most successful defendant, after her lawyer argued that she was merely following the congressman's orders.The jury found Bowser not guilty on 16 counts, including racketeering, wire fraud, conspiracy to commit wire fraud, conspiracy to commit mail fraud, multiple counts of mail fraud, and multiple counts of falsification of records. But the jury found Bowser guilty on five counts, including conspiracy to commit bribery, bank fraud, making false statements to a credit union, falsification of records, and money laundering. The judge polled the jury of nine men and three women -- including three African-American women -- to see if the verdict was unanimous. It was. The judge allowed all five defendants to remain free on bail pending sentencing on Oct. 4th and 5th. The judge allowed Juror No. 8 to leave early because his wife was pregnant and about to give birth. It had taken only 13 minutes to deliver the verdict. A minute later, at 12:34 p.m., the judge dismissed the rest of the jurors. They left via separate exits on either side of the courthouse. The jurors were stone-faced and many had their heads down as they rushed passed reporters. Only one juror had anything to say. "We're exhausted," she told a reporter for the Philadelphia Inquirer. Unlike the jurors that convicted him, Fattah had no choice but to face the media. "It was a tough day," Fattah said as he engulfed by a swarm of reporters and TV cameras outside the courthouse. "I want to thank the jury for their service," Fattah added, as some kind of bizarre public service announcement. The congressman told reporters he had to talk to his lawyers before he figured out what to do next. The main racketeering scheme that the congressman got nailed for involved the laundering of a $1 million donation from Albert Lord, the former CEO of Fannie Mae. Lord had paid the money as a "loan" to Thomas Lindenfeld, a political consultant who was a longtime confidante of Fattah's. But, the feds said, the money was laundered through a scheme masterminded by Fattah to pay off the expenses from his failed 2007 campaign for mayor of Philadelphia. Those expenses included $200,000 in street money spent on Election Day to get out the vote for Fattah for mayor. The government alleged that Fattah's co-conspirators, at the direction of the congressman, then repaid the loan from Lord with money stolen from government grants originally intended for educational programs run by a nonprofit controlled by Fattah. To cover their tracks, the feds said, the co-conspirators falsified campaign finance reports. Vederman was the most prominent co-defendant on the undercard. The government, in the biggest stretch of the case, had contended that in exchange for Fattah's letters of recommendation to be appointed U.S. Ambassador -- recommendations that turned out to be worthless -- Vederman had bribed Fattah for three years. Those bribes included a $3,000 check Vederman paid to Philadelphia University, to cover some of the educational expenses of Fattah's au pair. And $18,000 that Vederman paid to Fattah and his wife in exchange for a used Porsche that never left the congressman's garage. The $18,000, the feds said, was used by Fattah to buy a vacation home in the Poconos. "I'm shocked," Vederman told an Inquirer reporter as he left the courthouse. Defense lawyers around town were similarly stunned by the conviction. "I can't believe it," said Dennis Cogan, when he heard the news. Cogan, a former assistant Philadelphia district attorney, described the bribery charges against Vederman as a "bogus RICO case." If Vederman was guilty of bribery for the relatively petty donations he made, Cogan said, "Nobody is safe." None of the other defendants or their lawyers had anything else to say as they left the courthouse. Neither did the prosecutors, except to announce a 3 p.m. press conference. At the appointed hour, a phalanx of Assistant U.S. Attorneys, FBI and IRS agents, all of whom had apparently taken a vow of silence, stood behind U.S. Attorney Zane David Memeger. 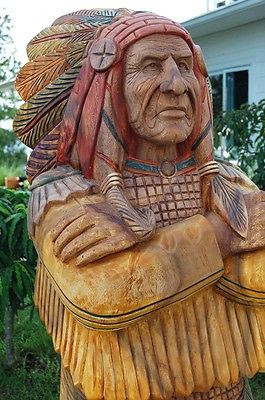 Memeger, who has all the charisma of a wooden Indian, then read a prepared statement that sounded like, as one TV reporter cracked, "the Boy Scouts' pledge of allegiance." "Chaka Fattah Sr. and his co-defendants betrayed the public trust and undermined our faith in government," Memeger read from his prepared statement. "Today's verdict makes clear that the citizens of the Eastern District of Pennsylvania expect their public officials to act with honesty and integrity, and to not sell their office for personal gain." At the podium outside the courthouse, Memeger gave the government's two star cooperating witnesses, Lindenfeld and fellow political consultant Greg Naylor, credit for making the government's case against Fattah. "They were able to give the inside view" of the crimes, the U.S. Attorney told reporters. "And the jury believed that view." One reporter asked Memeger why Lord, the guy who made the phony $1 million loan to the Fattah campaign, did not have to stand trial with the rest of the defendants. "No comment," the U.S. Attorney said. Jeff Cole, an investigative reporter for Fox 29, then asked another tough question. Shouting above the rest of the jackals, Cole asked Memeger to respond to some pointed criticism of the prosecutors that had come from former Gov. Ed Rendell. During the trial, Rendell, a former Philadelphia district attorney, had appeared as a witness on behalf of Vederman. On the witness stand, Rendell said that federal prosecutors had taken the most cynical view of the longtime friendship between Vederman and Fattah. The prosecutors, Rendell said, believe that the only reason politicians do favors for each other is to get something in return. Prosecutors see politicians as always having an ulterior motive. But sometimes, Rendell said, politicians actually do things just out of friendship. "Anything for a friend," Rendell told the jury. After he testified, Rendell told reporters that the indictment of Vederman was "a horrible prosecutorial overreach." Asked to respond to those criticisms, Memeger pointed to the scoreboard. "We did our job, we did it well," Memeger said, "and the jury agreed with us." The thin-skinned U.S. Attorney then announced that the next question from the media would be the last. The press conference that began at 3 p.m. was over in 12 minutes. One minute longer than it took to read the verdict. Justice in Philadelphia -- swift and brutal. There's no time for tears. And if you're the U.S. Attorney, you decide when you don't want to answer any more questions. The U.S. Attorney had a date with a Famous Cookie and then sent the rest of the Gift Box to that little toad AG Lynch. Rendell will be sending cookies to all his confederates to remind them of the good times before RICO bit the DEMS in the tuchas. His buddy Lew Katz was the great whale and passed many envelopes until his demise. Vederman's downfall was that he inherited his vast wealth and never had to work for it. How many free cookies are considered illegal gifts? Not St. Lewis Katz, the former owner of the Inquirer who was canonized in his obituary as as the male version of Mother Teresa? You can't be talking about St. Lewie that way. Why would Billionaire Lew Katz,who passed envelopes to many politicians over the years, ask Fast Eddie to underwrite Fattah? Katz knew how to play the game, and realized early on that these cheating charlatans were in over their heads. or will he wait until the DNC to show what a hero to the Civil Rights Movement he was, like the other b_ll s_it artists. I say we all pretend to do what the Inky does when they are handed a verdict they disagree with, lets just keep insisting the jury and the prosecutors got it wrong. The way they proclaimed the jury got it wrong at the Police Narcotics Trial and the Traffic Court Trial. It can go like this, who cares about the jury, judge or the prosecutors or what the FBI had to say or the charges brought forth. We the people don't care what the prosecution had to say, you all got it wrong, you have eroded our trust in government , you did not save us from anything. We are sick of federal trials, we are sick of accusations against politicians, stop trying to save us, we cant stand any more saving. I say all current politicians should resign effective immediately, their positions should be filled by all federal, state and local prosecutors, FBI and IRS agents, we shall see how the world will be instantly improved by their presence . I disagree with the prosecutors and jury, stupid move, more hatred on both sides of the alley. I am ashamed of the way our country is handling issues. Canada is looking better and better. A better question would be why Rendell has never been indicted under RICO for developing pay-to-play for lightweights like Fattah,and then be convicted for far lesser offenses than the deals Rendell designed. The way Rendell and Fumo conducted and orchestrated the Casino Referendum was totally outside legal bounds, and Fumo falls on the sword and has never "yet" identified Rendell to be involved in any criminality that he was fined and served time for. Vederman's story if honestly written would put Fast Eddie away for a long time. He spent a fortune and a career to buy and sell power and now its a choice between his big house or the outhouse. Tell us what you know Herb, it would make a great Reality Show. Or we could set up an oligarchy and be governed by the Inquirer's editorial board. I thought we already were an oligarchy governed by the Inky's editorial board? Clearly we are, based upon whom they endorse for various offices and the subsequent results. Speaking up and speaking out, may be the only thing the Inky will understand. The Inky does not speak for all. I'm just wondering how many different people have played Vederman over the years. Found in a text book on Elizabethan England by William W. Lace." The nobility lived luxuriously , They had no choice. As historian A. H. Dodd wrote " While the simple gentlemen (wealthy but not noble ) might live like a lord, the lord could not live like a simple gentleman with losing face." Nobles were expected to serve in an office, such as being an ambassador to a foreign country, at their own expense. Since we do not have nobility in our country, wealthy people are singled out to be ambassadors to foreign countries to entertain at their own expense to this day. Just thought the prosecution would like to know its been practice since the middle ages, too bad they did not act on this notion earlier, they would have snagged hundreds maybe even thousands of wealthy people that wanted to be ambassadors that had a politicians write a letter for them or recommend them for a post. I can hear Washington shredding letters now, now that its illegal. Well the door is open for more persecutions, wannabe ambassadors beware. That's exactly the kind of thinking that's making America sick, the sad part is the justice system is the biggest abuser of power. The prosecution is above the law. No other branch of the federal government has less accountability than the justice department. Waiting for the other shoe to drop and Renee gets indicted because of the "Porshe sale."